Bring cash and valid identification to Tsaa Nesunkwa, Ely’s new marijuana dispensary, and leave with a custom-selected product to smoke, eat, drink as a tea, or use as a tincture. As you step inside the small tiled space attached to the Chevron gas station on Ely Shoshone tribal land along Great Basin Highway, soft music welcomes you. Sign-in, take a seat in the lobby by the flickering flames of the electric hearth in one of the bright green chairs, and you will soon be buzzed through to the shop. The Ely Shoshone tribe operates Tsaa Nesunkwa (pronounced zaah nuh-soon-gwa, which translates in English as “to feel good.”) through a compact with the state of Nevada under Senate Bill 375. Signed into law by Governor Brian Sandoval in June 2017, Senate Bill 375 recognizes the authority of tribes to grow, sell and market marijuana in a state where the drug is legal for medicinal and recreational purposes. 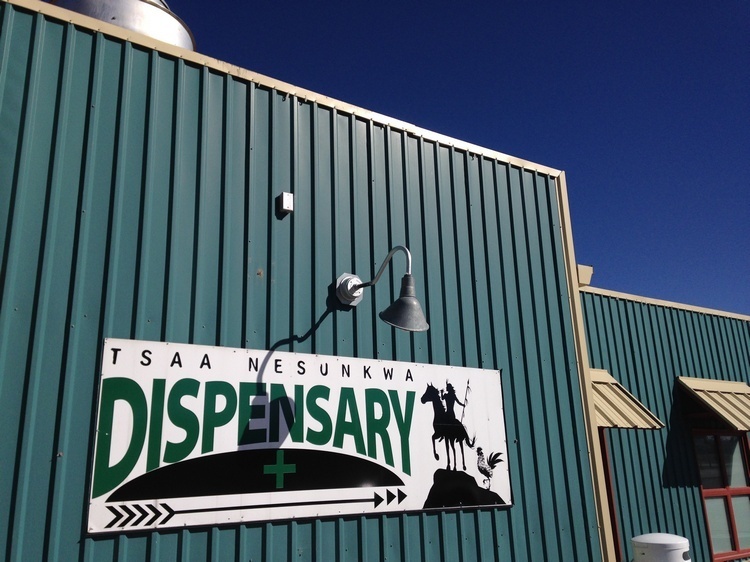 Opened as a medical marijuana dispensary last October, Tsaa Nesunkwa expanded to recreational marijuana on Dec. 2. State law requires purchases at the dispensary to be used within Nevada’s borders. 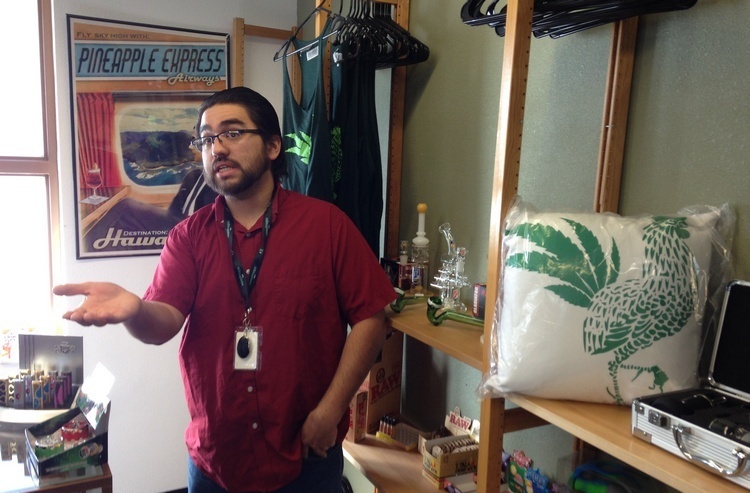 “We encourage people to use this responsibly,” said Joseph Stark, a manager at the dispensary. “This is medicine, not to be taken advantage of. I always tell people ‘moderation.’” The store reserves the right to refuse service to anyone who appears intoxicated. By law, product sold at the dispensary must be grown in Nevada. Stark sources from growers in Las Vegas, Mesquite and Reno. The Ely Shoshone tribe has plans to begin growing its own marijuana at a new growing facility nearby on the reservation under an agreement with the city. The store is staffed by five “budtenders.” Like a skilled wine sommelier, budtenders get to know their customers and make recommendations based on an individual’s preferences and needs. Budtenders take time with each customer. 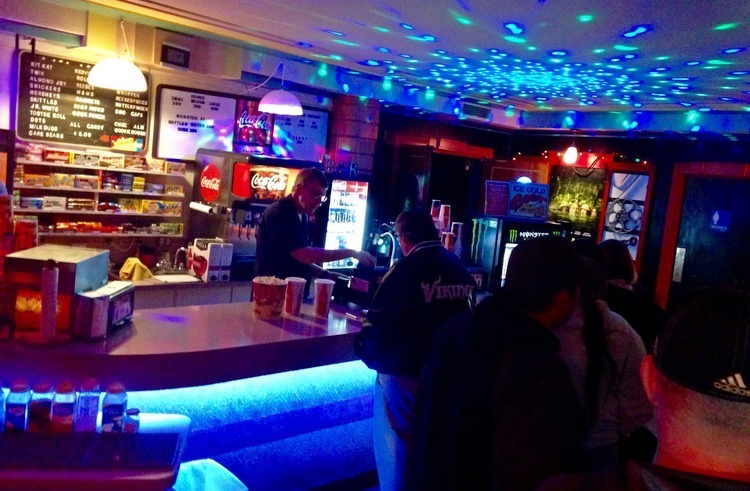 The store’s atmosphere is friendly, relaxed and professional. 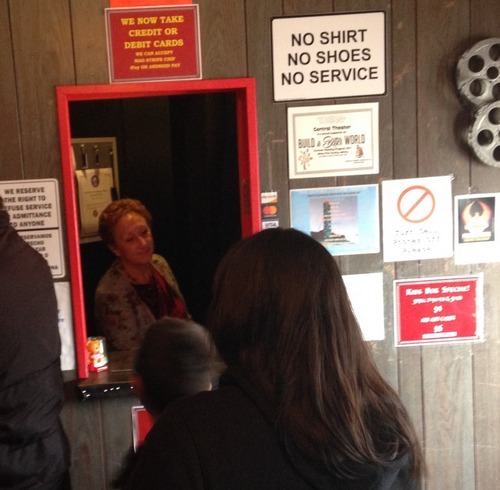 Customers include locals and tourists, adults of all ages. Some seek relief from back pain or anxiety. Others are planning for a date night. The dispensary is open daily from 11 am until 6:30 pm, and business is steady. This spring, Stark expects to extend hours from 9 am to 9 pm. He looks forward to expanding the business. “This helps the tribe make a stand on their own independence,” Stark says of the dispensary. “Because we are our own sovereign nation.” The tribal council has plans to use dispensary profits to improve houses, roads and educational opportunities. Prices for product range from $12 to $500. Military discounts are available with identification. The store also sells growing supplies, t-shirts, glassware and other accessories. Customers can purchase up to one ounce of product at a time for recreational use, and up to two ounces for medical use with a prescription. Tsaa Nesunkwa is located at 963 S. Pioche Highway (also known as Highway 93 and Great Basin Highway). Just a block off main street sits Ely’s Central Theater, a treasure of Art Deco design and a hub of entertainment for locals and visitors. First run movies change every week or two guaranteeing something for everyone. Fresh popcorn popped in coconut oil and topped with real butter can be washed down with soda (free refills! ), beer or wine. Owners Don and Shirley Purinton have operated the theater for four years, managing all details from concession sales to cleaning. 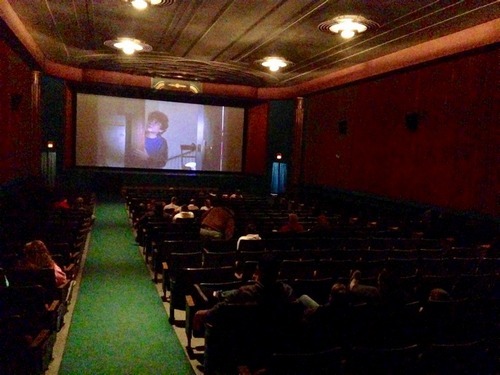 They purchased the theater after retiring from positions with the phone company and the school district and have poured heart and soul into modernizing the customer experience — updated sound system and digital projection, efficient heating, new screen, and tasty snacks — while preserving the historic charm. The theater originally opened in March 31, 1941 and has operated almost continuously. When the Purintons purchased the building it was on its way to becoming a storage facility. Don and Shirley have steadily restored interior and exterior details. Recently, a patron donated custom-made handles for the entry’s double doors. The theater is listed on the National Register of Historic Places. “People need to have things to do,” Shirley said, in between selling tickets for a packed Sunday matinee showing of “Jumanji: Welcome to the Jungle” in February. Shirley, who grew up in Ely, saw movies at the theater when she was a child. “A lot of people love the theater. They come here because of the big screen. And it’s cheap.” It’s common to see a full parking lot on a weekday evening and to find kids’ bikes piled by the lobby doors on a weekend afternoon. The Purintons keep ticket prices low so everyone can enjoy the theater experience. Kids’ matinee price is $5. Evening adult admission is $8. Discounts apply for active military, senior citizens and high school students with identification. Ely’s Central Theater is located on 15th Street. Tickets are available online and at the box office. Credit cards accepted. Shows run nightly at 7 pm and Saturday and Sunday at 2 pm. What big bird merits an annual fun run in its honor? The turkey vultures of Ely. 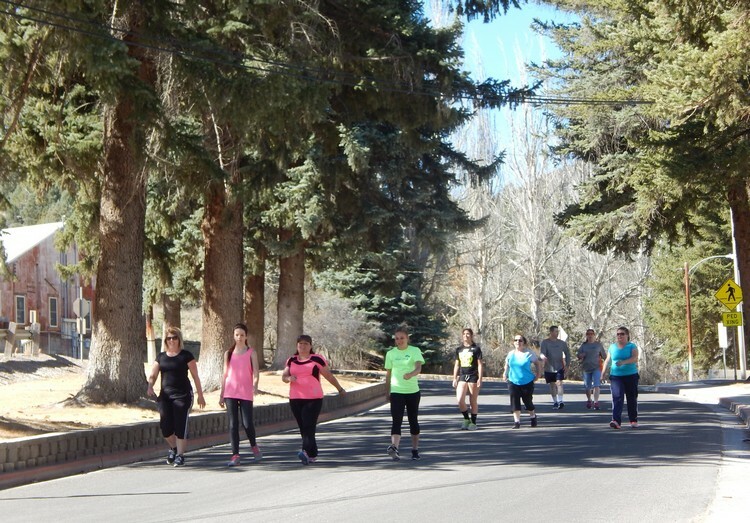 When they return to the city in March, residents and visitors lace up to run and walk a 5K race through downtown. This year’s race, the fourth, will be held Saturday, March 17 at 10 am. Attendance for the event averages 50 children and adults. Top three finishers among the women, men and children are timed and recorded. Everyone who registers receives a t-shirt. The EOE donates a portion of proceeds to a local cause that encourages physical fitness. Nevada’s turkey vultures (Cathartes aura) spend winters farther south, possibly as far away as South America. With a wingspan as wide as six feet, unfeathered red heads and bright white feet, the birds’ presence is unmistakable as they gather in a committee in the trees of the City Cemetery or soar the thermals as a kettle in the open skies of White Pine County. Perched birds open their wings to sun them, hence the “stretch” in the name of the race. The turkey vulture is the only New World vulture found in Nevada. Turkey vultures typically raise two chicks a year with both parents caring for the young. Throughout the United States, the bird is legally protected under the Migratory Bird Treaty Act of 1918. The generic term Cathartes means “purifier.” As carrion feeders, the birds play an important role in the ecosystem by disposing of carrion that could otherwise become a source of disease. And, though Ely runs in honor of the turkey vultures, the birds themselves are ungainly on the ground and require great effort to become airborne. The 5K Turkey Vulture Stretch starts at the County Park across from White Pine Middle School, near the duck pond. To guarantee a T-shirt, pre-register by March 6 for the race through this link. About 75% of participants pre-register. Same-day registration starts at 8:30 am and is cash only. Organizers request that you leave pets safely at home.